The Skinner Round-Up presented by Cessna returns in 2016 to benefit Hope For The Warriors, a national nonprofit focused on restoring self, family and hope for post-9/11 service members, veterans and military families. 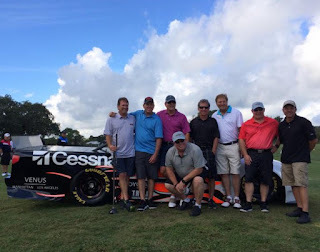 Hosted by 1995 NASCAR Camping World Truck Series Champion Mike Skinner and his wife, Angie, the two-day event will feature its traditional Hoedown Bash and golf tournament, along with some new additions; the Gunslingers 30 Shot Competition and the Skinner Corral of HOPE. The two-day event will take place near Lake Toxaway in the mountains of North Carolina on October 20-21. "Angie and I are so excited to bring the Skinner Round-Up presented by Cessna to the mountains of North Carolina this year," said Mike Skinner. "We discovered Mountain Falls Luxury Motorcoach Resort about five years ago, and we're so excited to have our family, friends and fans here for this year's Round-Up event. We couldn't be more thrilled that all proceeds will be donated to Hope For The Warriors; a military nonprofit that we discovered right around the same time that I retired from full-time racing. Being able to spend time with their staff and service members really helped me through that transition. I'm so thankful to all of our partners for their support and I'm excited to give back to Hope For The Warriors this year." 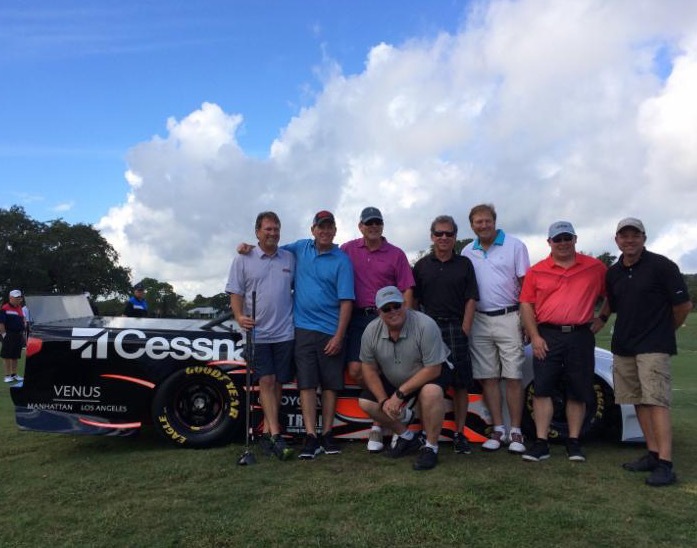 Numerous sponsors have joined the effort to make the 2016 Skinner Round-Up presented by Cessna possible, including Mountain Falls Luxury Motorcoach Resort and Burlingame Country Club, hosts of this year's event. New in 2016, the Gunslinger's 30 Shot Competition is presented by NRA and Bad Boy Off Road, while the Skinner Corral of HOPE is presented by Liberty Coach. Thursday night's Hoedown Bash is presented by Cessna, while E-Z-GO will present Friday's Skinner Round-Up Golf Classic. Additional partners supporting the Skinner Round-Up include Black Bear Lodge, Bulova, Calvin and Peggy Braxton, Carrabba's, E-Z Line, FocusPoint, Forth Right Wealth Management, Andrew T. Franzone, Sam and Edwina Friedman, Germain Racing, Millennium Luxury Coaches, Molto Bella Boutique, mpower, Suntrust, Toyota, Toyota Racing, Walker Marina and Renee Wampler. "We have been blessed to have Mike and Angie Skinner as advocates and friends of Hope for a few years now,” said Robin Kelleher, co-founder and president of Hope For The Warriors. “It is an honor to be the beneficiary of this year's Skinner Round-Up in North Carolina. We look forward to utilizing these funds to empower veterans, service members and military families in our communities." With Mountain Falls Luxury Motorcoach Resort and Burlingame Country Club graciously hosting this year's events, the fun will kick off on Thursday with the Gunslinger's 30 Shot Competition presented by NRA and Bad Boy Off Road. Attendees will also have the opportunity to visit the Skinner Corral of HOPE presented by Liberty Coach on Thursday afternoon, where Skinner will join former NASCAR competitors Ron Hornaday, Jack Sprague and Rick Crawford for an hour-long autograph session. With a championship race truck display, hay rides, food trucks, beverage tastings, and motor coach display, the Skinner Corral of HOPE presented by Liberty Coach is free and open to the public 12 p.m. through 6 p.m.
Later that night, Mountain Falls Luxury Motorcoach Resort will host the traditional Skinner Hoedown Bash presented by Cessna. Featuring live musical entertainment from Nashville singer/song writers D Vincent Williams, Dillon Dixon and Billy Austin, chuck wagon grub stations, and a poker room along with various games of chance and raffles, the Hoedown Bash will raise money for Hope For The Warriors through silent and live auctions before a Hope For The Warriors' Warrior Wish is granted. Taking place at the Mountain Falls Resort Clubhouse from 6:30 p.m. through midnight, individual tickets are still available for $75 with all proceeds benefitting Hope For The Warriors. On Friday, the action will move to Burlingame Country Club for the Skinner Round-Up Golf Classic presented by E-Z-GO. The 18-hole scramble will pair golfers with a variety of celebrities and U.S. military service members for the tournament. For schedule details, to purchase tickets or register for any events, please visit mikeskinner.com/roundup. Additionally, fans at home can get involved and show their support for Hope For The Warriors through the silent auction, which will feature online bidding. Bidding will open on Sunday, October 9, with all items available at 501auctions.com/skinnerroundup. 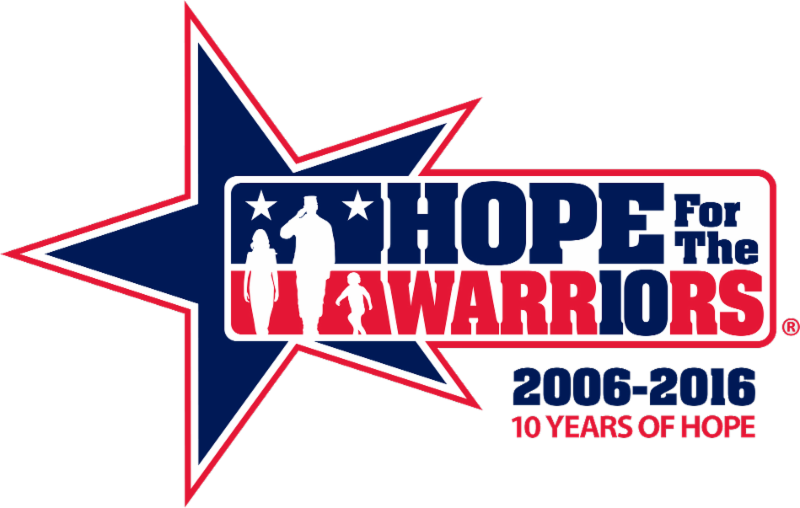 To learn more about Hope For The Warriors, apply for services or find out how you can get involved, visit HopeForTheWarriors.org.